Castle Creations Monster X 1/8th Scale Brushless Car Package takes Castle’s legendary “monster” performance to the next level in an all inclusive combo. 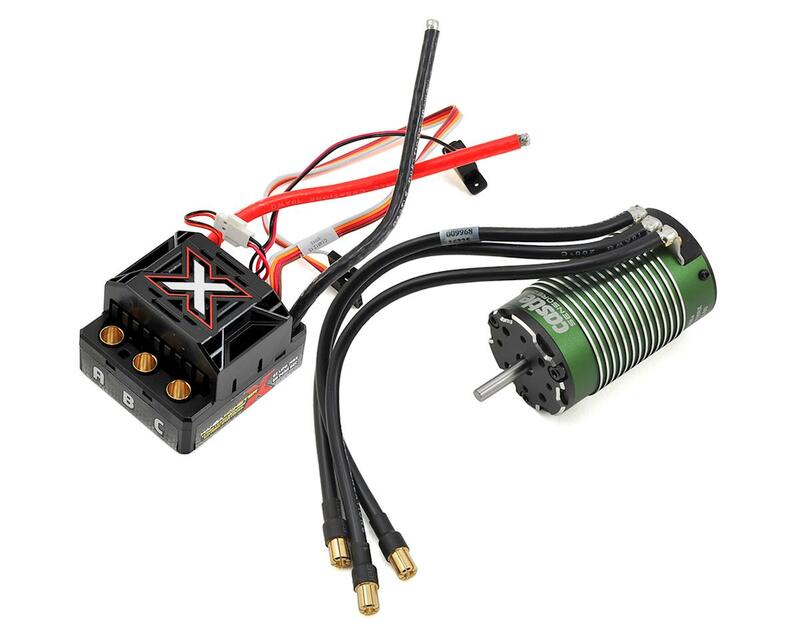 This combo package includes the sensored 1512 2650KV motor and is recommended for 1/8 buggies and on road vehicles weighing 9 pounds or less, running 4S LiPo batteries. Why sensored? In racing applications it can provide a smoother more linear throttle feel and eliminate power surges when coming out of the corners. The waterproof Monster X ESC can run between 2S and 6S LiPo and is a great “power up” upgrade system for 1/8th scale off-road and on-road vehicles. It is also a perfect option for 1/10th scale monster trucks and custom RC monstrosities weighing up to 15 lbs! The Monster X provides even more extreme performance than the Monster 2. Most notable is the addition of a programmable Auxiliary Wire that allows users to make “on-the-go” adjustments to several settings, such as torque control and max throttle. 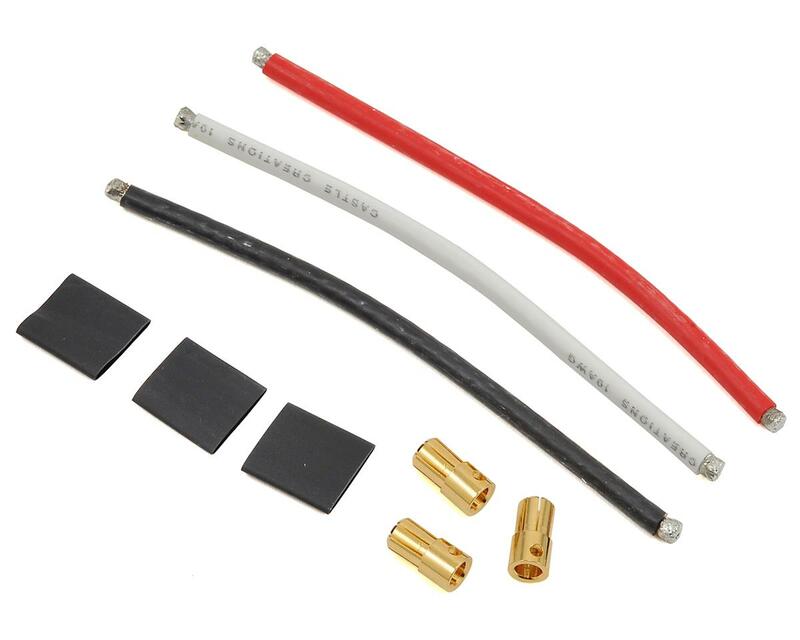 The Auxiliary Wire allows users to fine-tune the performance of their Monster X ESC right from the transmitter using an auxiliary channel on the receiver. The AUX wire function is disabled by default but is programmable via Castle Link. Once the user has programmed the functionality of the AUX wire, that setting can then be adjusted on-the-go from a compatible transmitter. The Monster X also features updated Audible Alerts that will notify drivers of possible issues with their calibrations and error conditions to help diagnose problems in the field. The Monster X is capable of running from 2S to a maximum of 6S LiPo power, but now features an improved heavy-duty adjustable Battery Eliminator Circuit (BEC) to provide plenty of power for today’s power hungry servos. The Monster X BEC voltage is adjustable from 5.5V, 6.0V, 7.5V and 8.0V with an 8 AMP peak. The Monster X also comes standard with a highly efficient, 30mm ESC cooling fan. The Monster X also has the ability to capture and record performance data from your last couple of runs, commonly referred to as data logging. 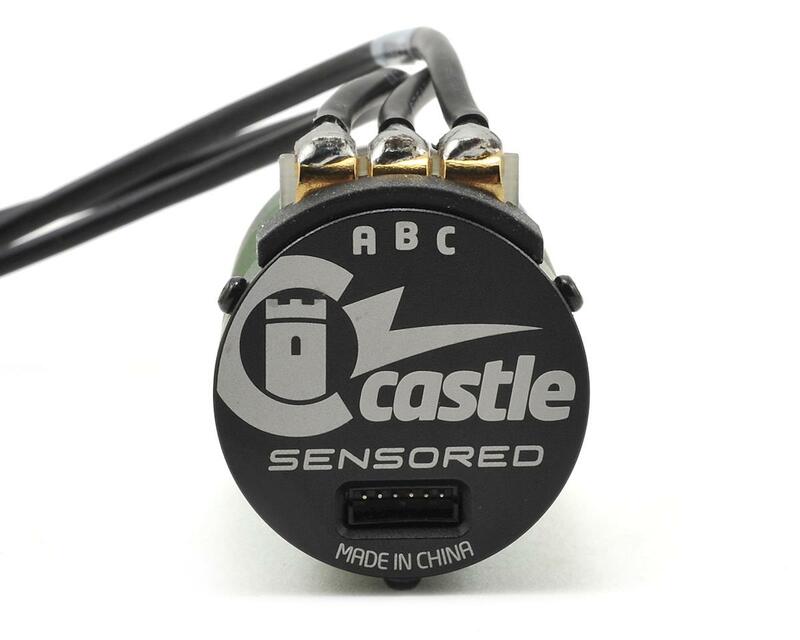 This data can be downloaded via the upcoming Castle Quick Connect Duo (sold separately) that allows the user access to both wires into the single Castle Link connection. The user can then analyze this data and make adjustments to the ESC to maximize both performance and battery life. The Monster X is telemetry ready, which means owners of Futaba T4PX Transmitters will be able to purchase the Castle Creations S.BUS Telemetry Link when it is released. 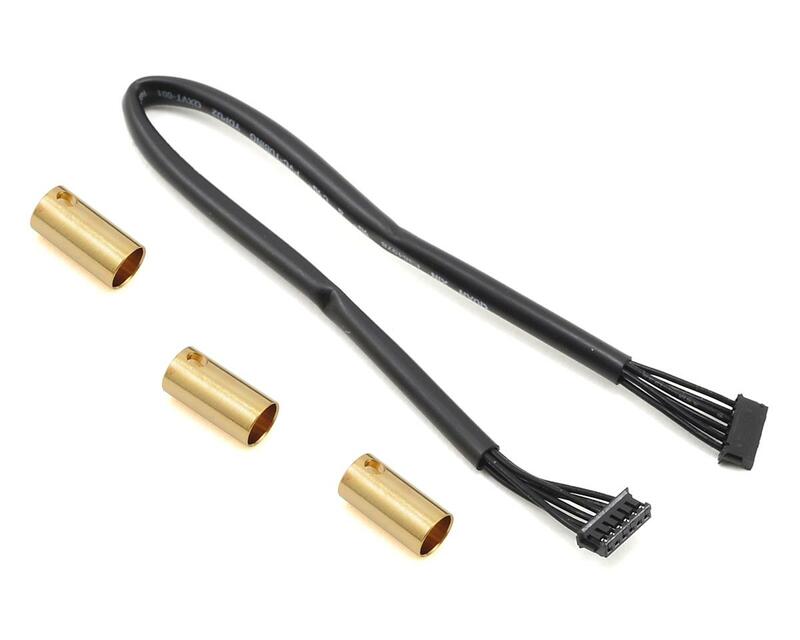 Real-time data such as ESC temperature, voltages and RPM can be monitored to ensure performance advantages and spare you the “unknown” parameters that all R/C enthusiasts experience at some point. Telemetry data provides another level of protection, can increase your “tuning awareness” and in turn, let you have more time having fun. Access all firmware updates, included added feature sets released from Castle Engineering FREE of charge. Ability to save basic to complex setup profiles for later use. Application Guidelines: Up to 6S (25.2 Volt) operation in vehicles weighing less than 15 lbs, with batteries, ready-to-run. Mounting Hole Specifications: 3mm & 4mm screw holes @ 1" (25.4mm) spacing. Shaft Diameter: 5mm, 20mm length. Application Guidelines: The ESC and motor are Intended for 4S (16.8 Volt) operation in Buggy and On road vehicles weighing 9lbs or less with batteries, ready-to-run. 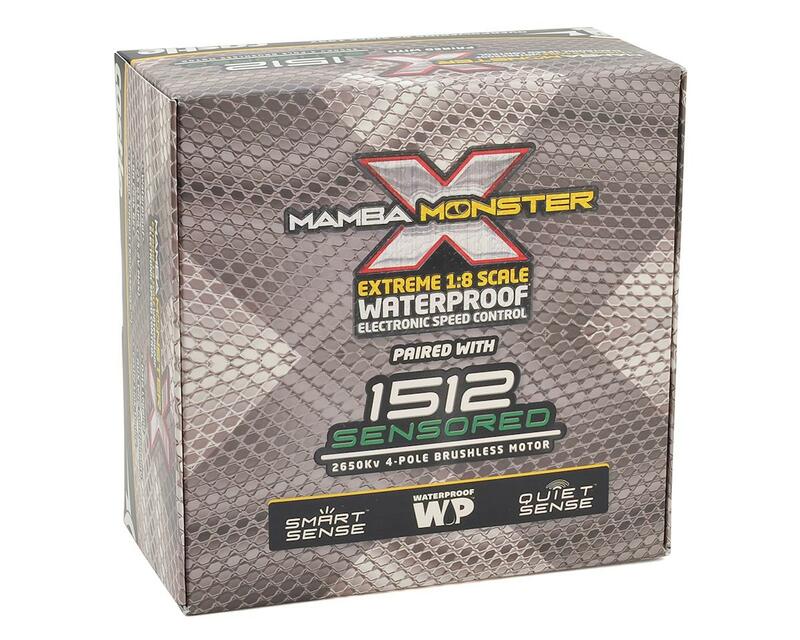 *Although Mamba Monster X and Castle brushless motors are waterproof, they are not intended for operation while completely submerged in liquid. They can corrode when exposed to corrosive materials, such as salt water. Always rinse the ESC and motor with clean water after exposure to corrosives or dirt. While the motor and controller may be waterproof, Castle suggests users confirm that the rest of their vehicle, including the batteries, servos, radio and chassis are also waterproof before exposing them to liquids of any kind. Not all LiPos are created equal, and surge ratings should never be used to determine a pack’s suitability for a brushless application. Use the CONTINUOUS C rating only. Mamba Monster setups frequently hit 100+ amps in peaks. Castle strongly suggest using 5,000 mAh or larger LiPo cells with a discharge rating of at least 30C (or high quality 25C batteries such as Traxxas® Power Cells®). Castle's experience suggests using only mild gear ratios with NiMH cells. Do not attempt to use NiMH cells in extreme setups. im new to 1/8 scale stuff so im not that aware of how other equipment stack up against this thing (besides an old HW xerun sct pro in scte 2.0). in any case I threw it into my Stampede 4x4 and man let me tell you... whooowee. i will never go back. This has so much torque even on 3s 7000mah 60c. and its fast. i do notice an extremely light cogging for not even a second at start up but that might just be because of the setup i have and lack of tuning... idk its smooth though not like the vxl before it if that helps anyone. i love this thing but i still wanna try the tekin to see what the deal is. I LOVE IT!! Works great.. This replaced my Tekin Rx8... No regrets! !